On this episode of BlockChannel, Mckie, Dee and Dr. Petty finally get a chance to sit down with Preethi Kasireddy. 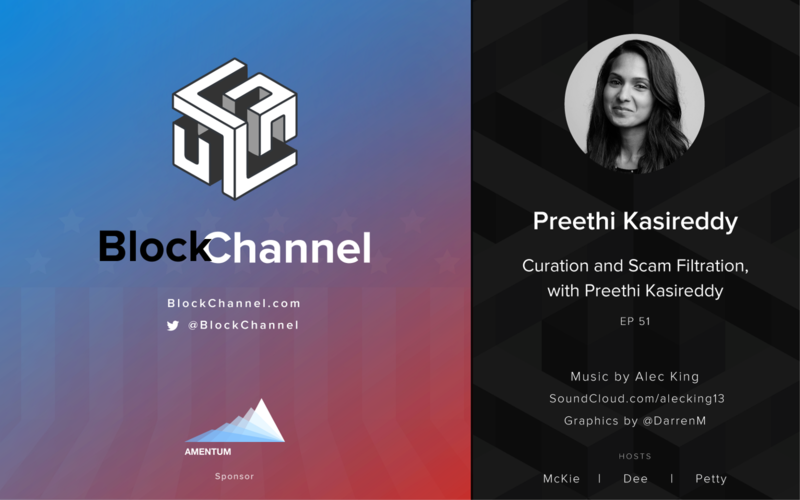 Preethi, a crypto-native and CEO and Founder of TruStory (and former Coinbase/a16Z employee), sits down to fill us in on her storied background while watching crypto mature over the years. She also breaks down her technical and architectural decisions as to why she opted to build atop of Cosmos; come enjoy while we listen to her wax poetic on her next big project in the opener of Season Freedom.